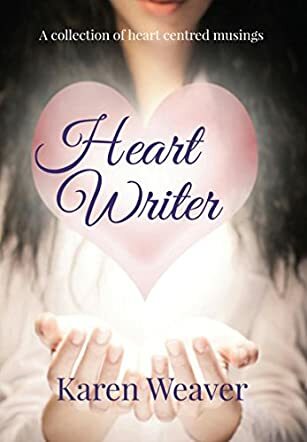 Heart Writer by Karen Weaver is a interesting collection of the author's spiritual musings and personal stories. Her life changing transition will help many readers to make changes in their perspective and to live in a peaceful and happy space. Her journey of self-discovery is inspirational and uplifting to all those who are not happy with what is happening in their lives and want to make meaningful choices. The author's personal stories are palpable and they connect well with readers, motivating them to get into a happy and vibrant space. I found the book useful and the author's techniques and suggestions are easy to comprehend and incorporate into one's daily life. The author's words are encouraging and will help readers reflect and contemplate, and see where the necessary changes are required. The quote 'Life is not about finding yourself, it is about creating yourself' is motivational and the author also debunks the idea that a God is always required to make a spiritual journey. The book is refreshing and gives readers the courage to find a balance that works for them, to enjoy it, allow their values to change, and make their dreams reality. The author's transition will motivate readers to meet the challenges that come their way once they decide on their path. The importance of opening up to the possibilities that the universe gives us is also highlighted in the book, helping readers understand that it's easier than first perceived.